This patient had prior strip sugery. His NW 6 area needed coverage. He needed density added to the previously transplanted area. 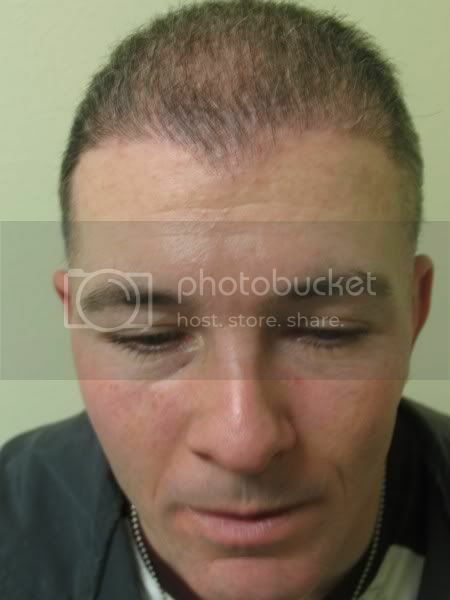 He wanted his hairline changed and had a picture of a model whose hairline he wanted replicated. He wanted his huge strip scar grafted as well. 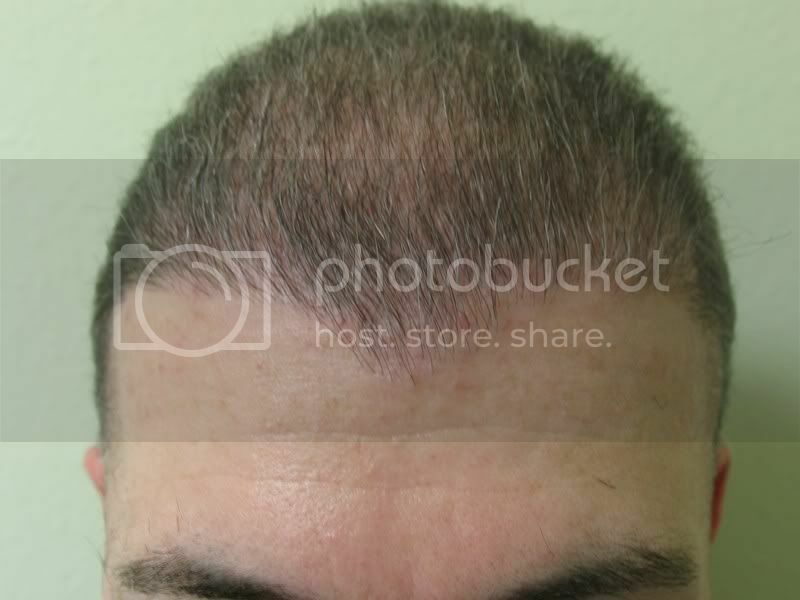 He came with a photo of a model whose hairline he wanted replicated on himself. He plans to keep his hair short. The following photo sequence is self explanatory. There is a video in preparation. The short hair style works. 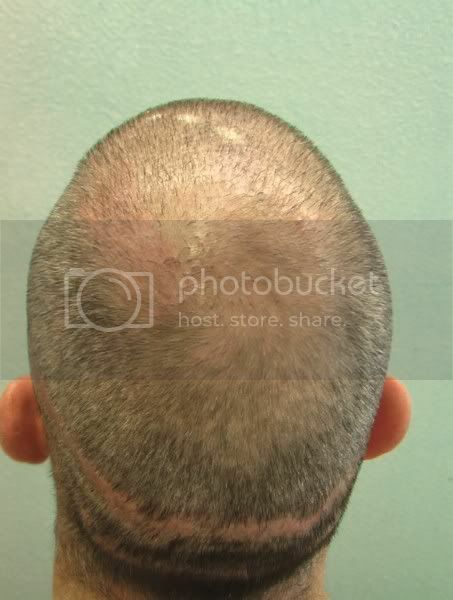 That hairline looks cool. The results are very impressive. 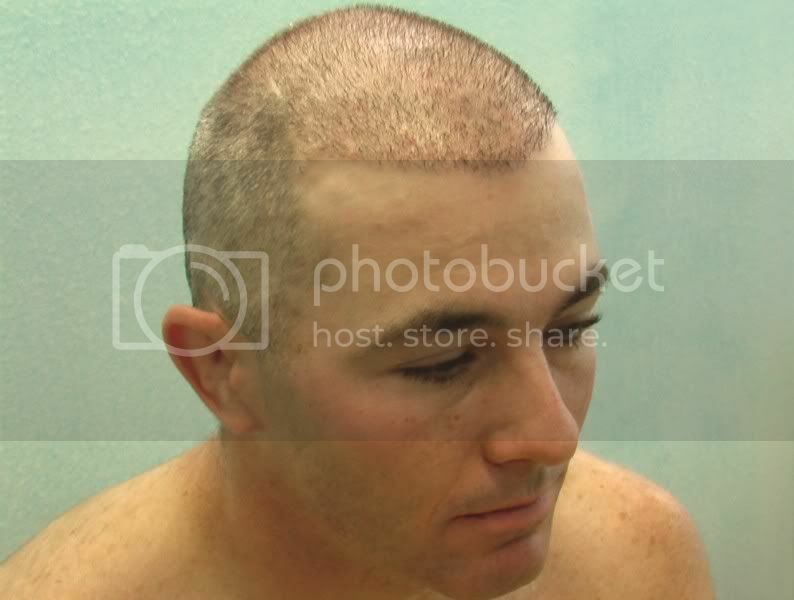 Hard to truly see a dif because his hair is buzzed in the pre and grown out longer in the post. He wasnt that bald in the pre and I bet if he cut his current hair short to the same pre op lenght it wouldnt look that much different. Considering 13k grafts were used I’m not impressed. 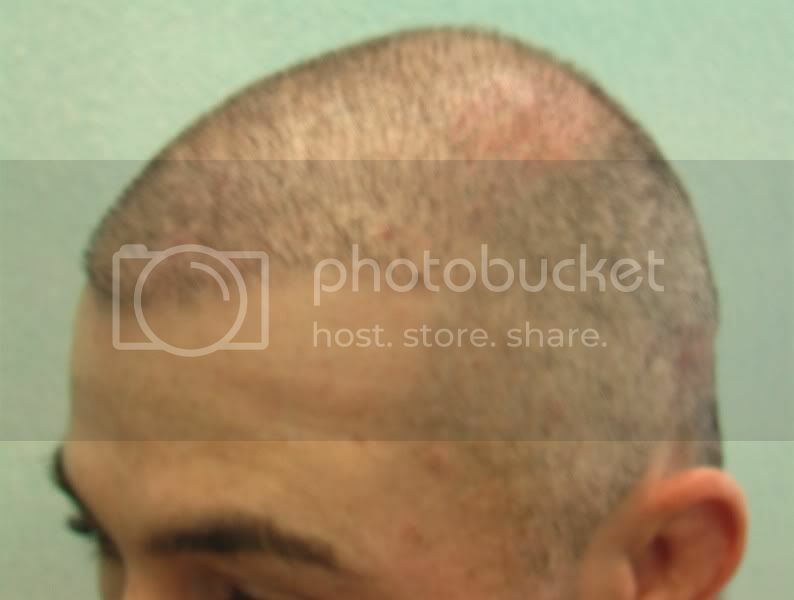 His scar is completely covered and the hairline moved forward (just look at the temples). Very impressive. 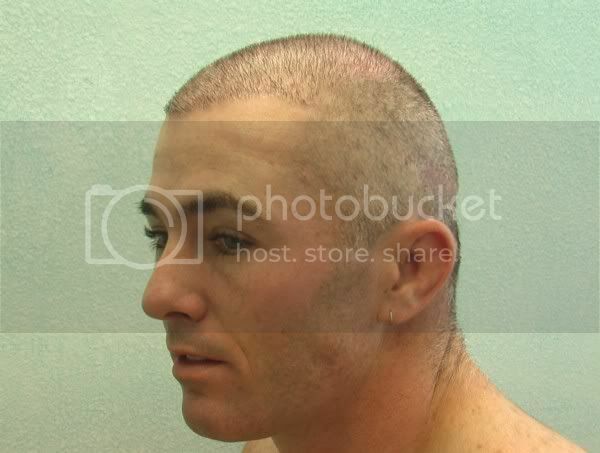 Yes his hair line is lower and scar is covered , but the hair line is not dense at all and see very through. 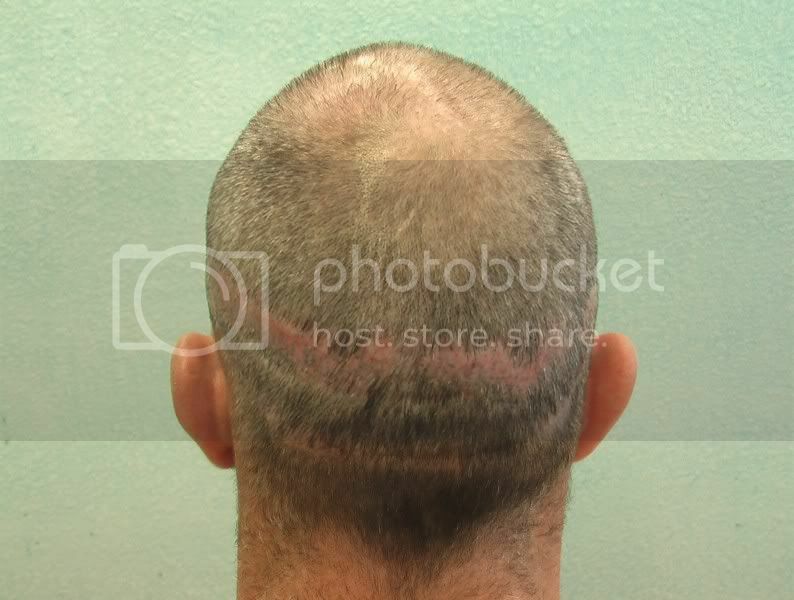 The scar is covered but the hair is longer and brushed back. Now the longer and bursh back doesnt account for the entire scar being covered but it definetly affects a decent portion of that. Considering that 13k + grafts were used makes it so not impressive. 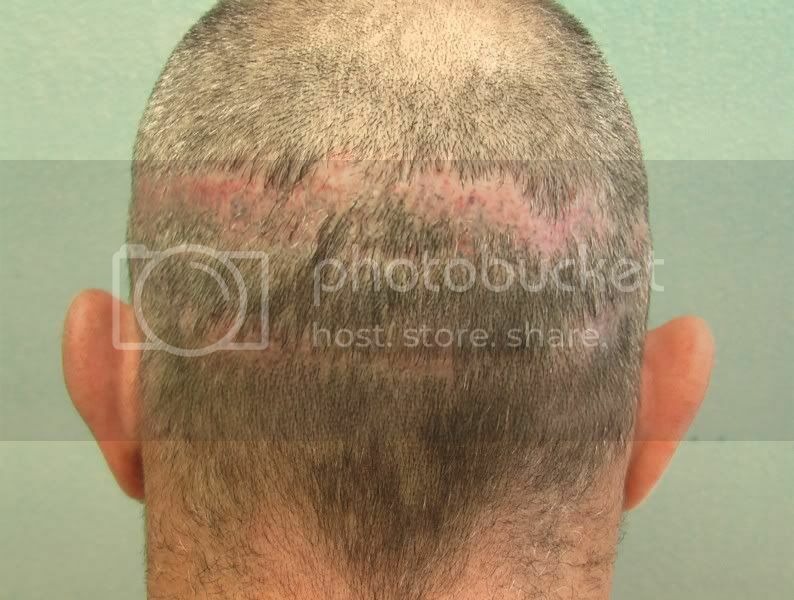 It either means not all the 13k grafts grew or since his bht is so thin it didnt reallhy do much. » that. Considering that 13k + grafts were used makes it so not impressive. » didnt reallhy do much. 2: Needles were used in the prior HTs which give the impression of folicles poping out of a single origin giving a slightly pluggy look compared with the use of slits. 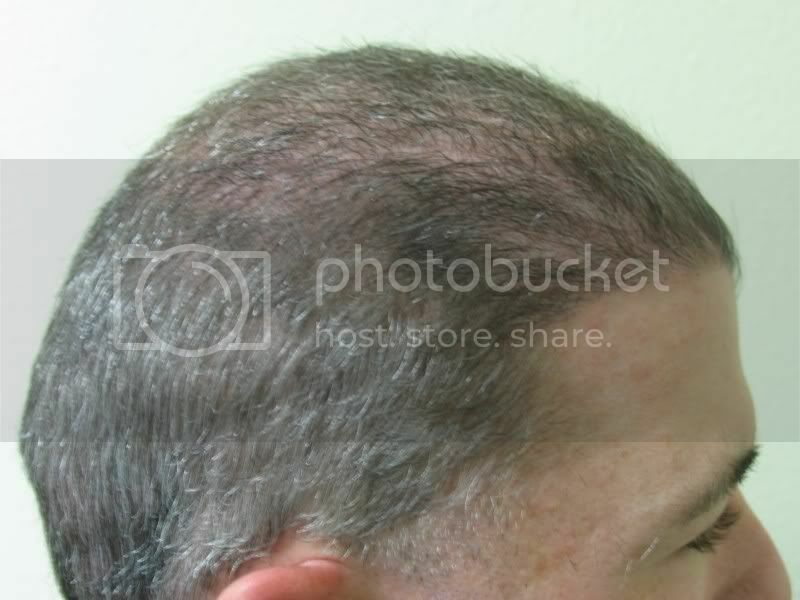 3: A lot of BHT was used to acheive the result which is clearly detectable even though the hair is longer. This seems the nature of BHT but he had no option and IT WORKED. 5: If slits were used in the previous work he probably would not have needed such a great deal of work. 6: I don’t have any certainty about this slit needle issue but I have watched and listened for a long time and it seems that this is the case. I’m usually impressed with Dr. Umar’s work, but in this case I think the after looks worse. 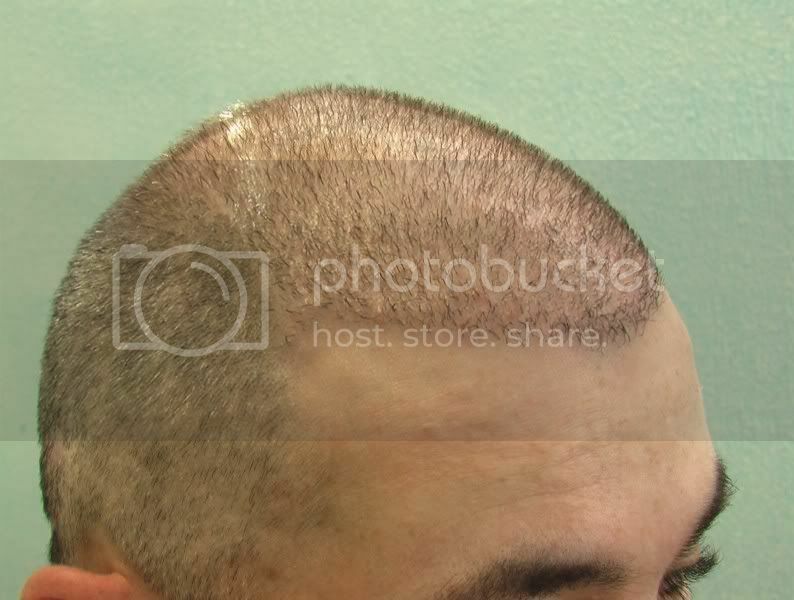 The hairline is completely unnatural and the top is thin. 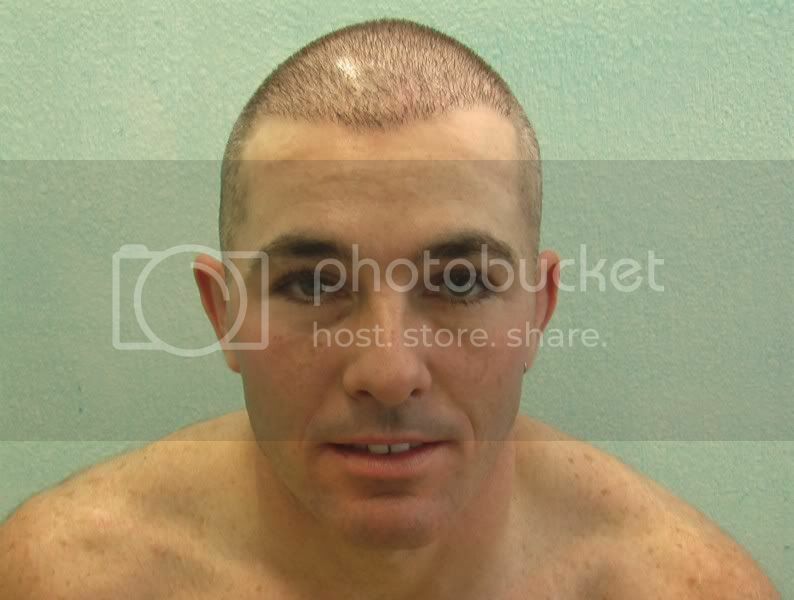 The lighting in the after pics are also not as bright as the before, so its not really an apples to apples comparison. 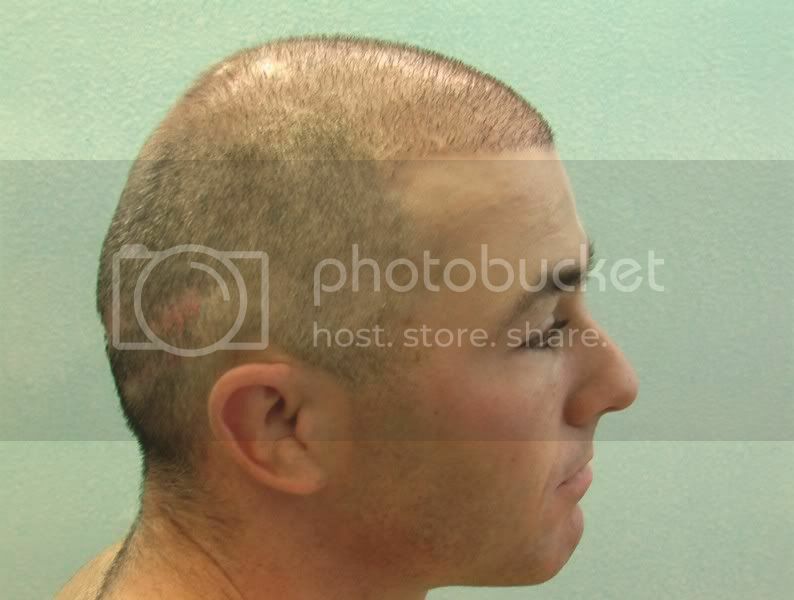 This guy should have just done FUE to his scar IMO. Another “unbiased” opinion from the guy who wanted a free HT from Dr. U. in exchange for some web design. Will mouse and click for hair! Did any HT docs take you up on that generous offer? » so its not really an apples to apples comparison. 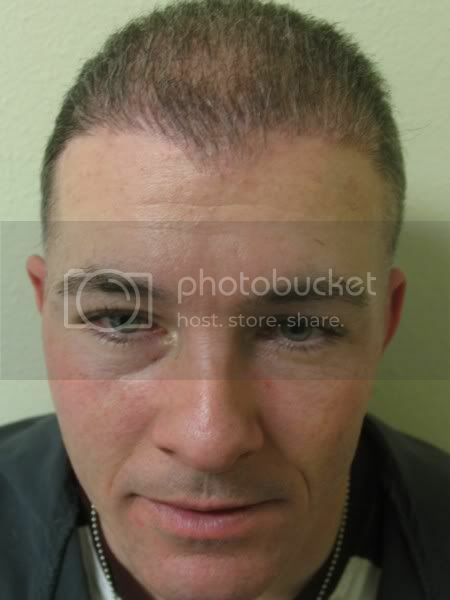 » This guy should have just done FUE to his scar IMO. Ah, Transporter. I am skeptical of your opinion because you have an axe to grind with Dr. Umar. You are still upset because you wanted/demanded him to give you a full head of hair starting from a NW5-6 in exchange for web development. I would hardly call your opinion unbiased after you raised a fuss about the situation over at HH and tried to put a negative spin on it. Due to your dishonorable actions, you lack credibility. There’s a lot of subtlety here that I think is being missed. 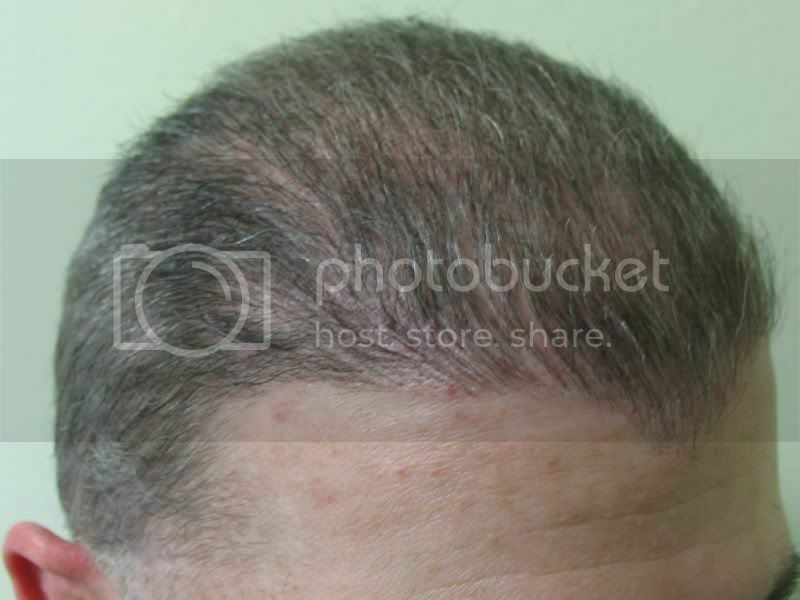 And we know a good restored hairline is all about subtlety. 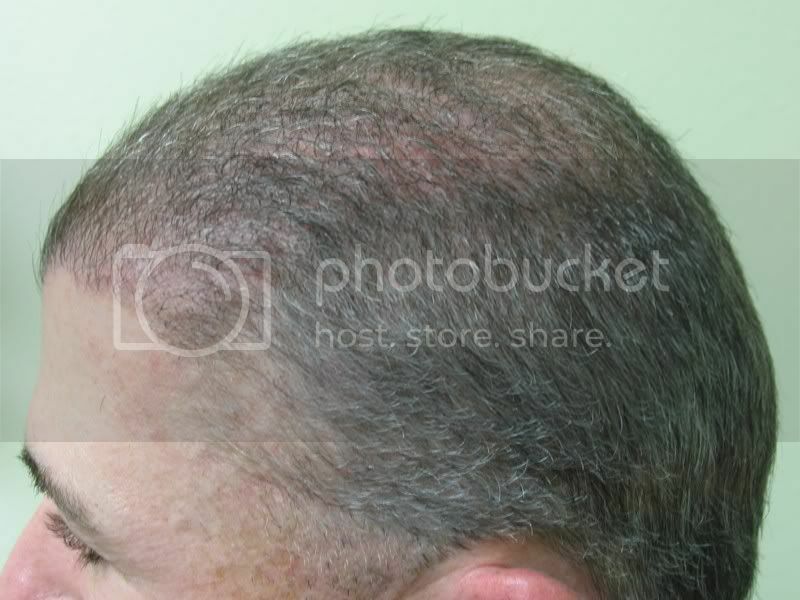 This patients old hairline, the first 1/4", has many multi-hair grafts that would appear far more pluggy if grown out, and as is, has the distinct look of a transplant. 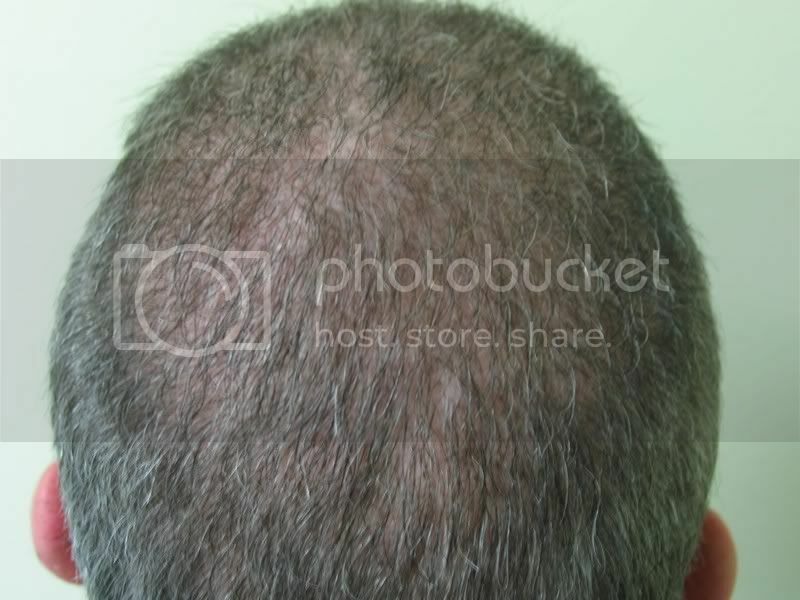 There’s no graded transition, that is a zone of less dense single hair grafts. 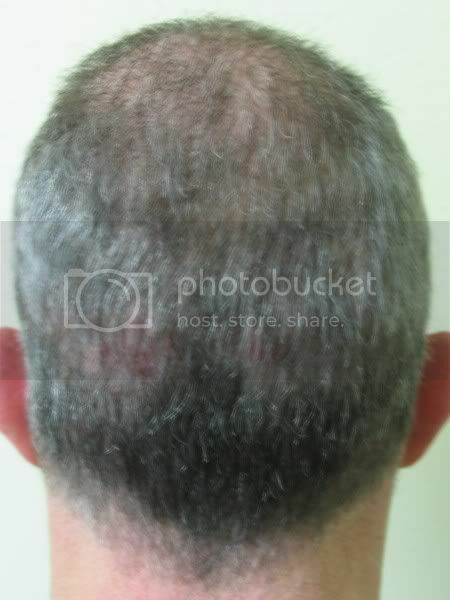 This patients new hairline has these characteristics. The widows peak was a brave move, but turned out nice. 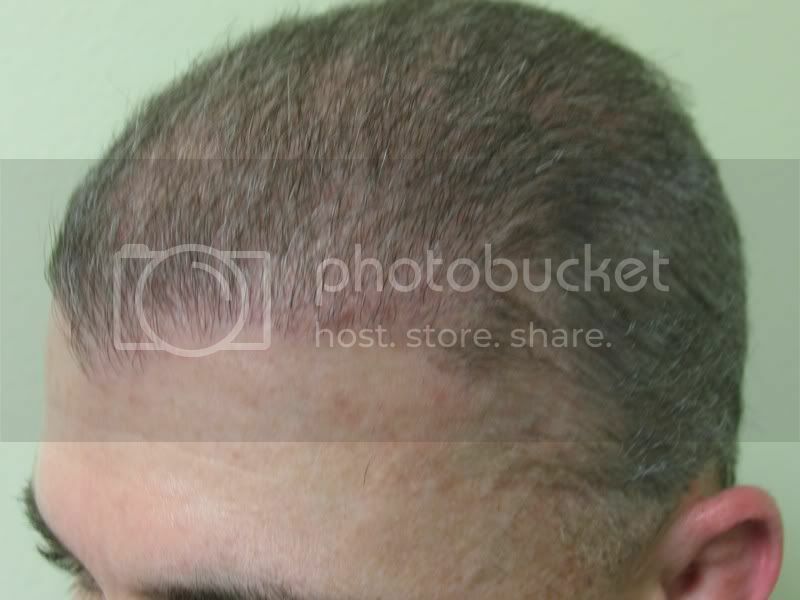 Though the patient appears to have thinned a little since the January, 2007 thread, he now has a hairline that doesn’t draw attention as a transplant, which is everything. 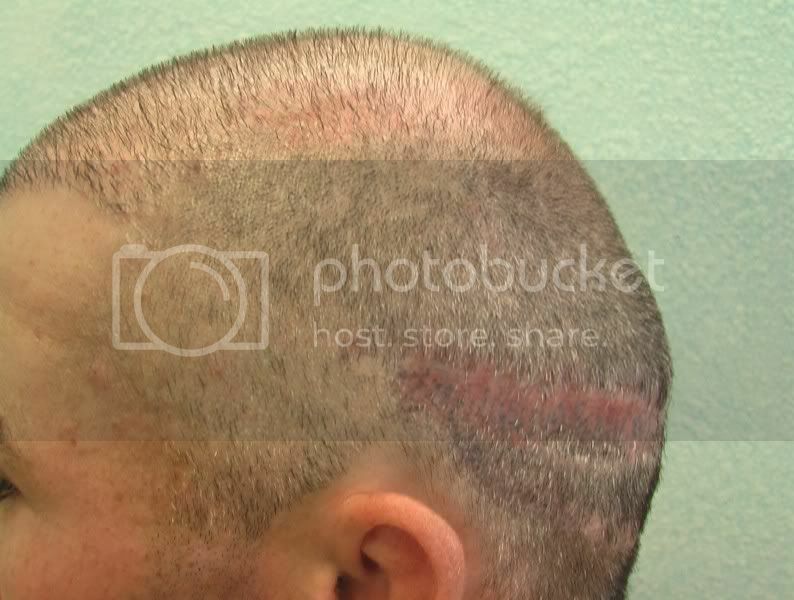 This is also mostly body hair, which may account for the apparent density changes due to different cycling than head donor(maybe Dr. Umar can address this). 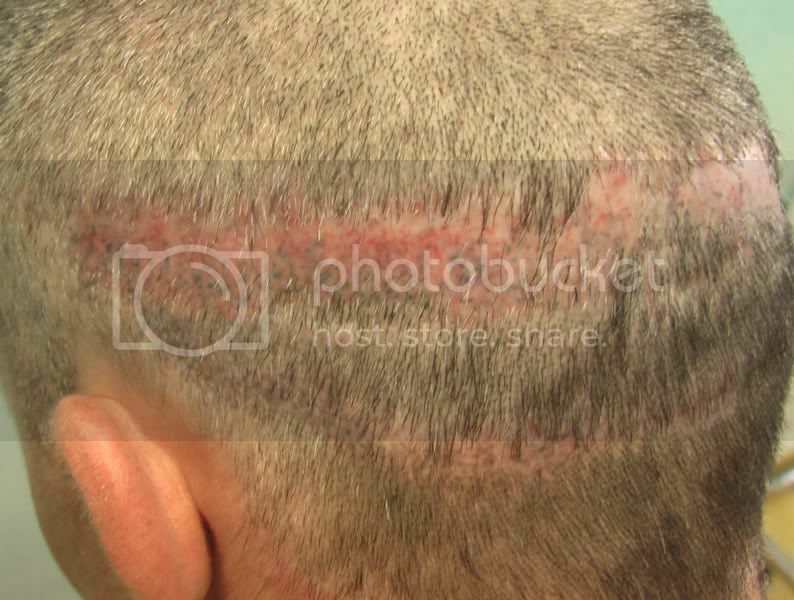 There also appears to be minor inflammatory redness in the skin around the transplanted hair that is a different hue than his forehead. Dr. Umar, did you notice this in the patient, and what do you think is responsible for this? » replicated. He wanted his huge strip scar grafted as well. 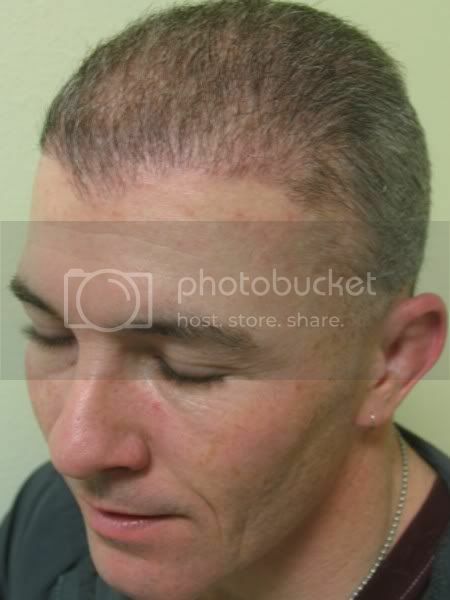 He asked for and got a unique hairline. 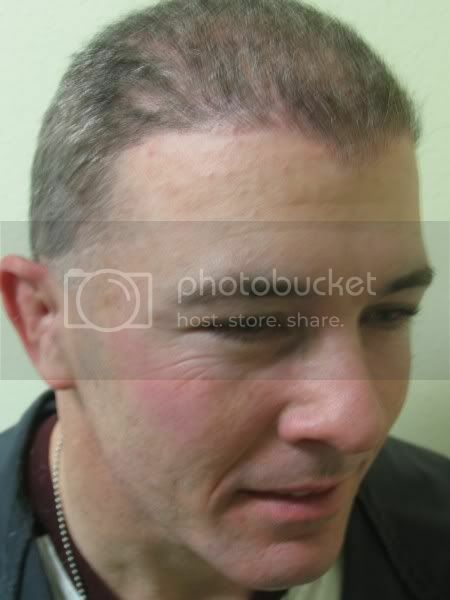 While I dont like the widows peak, to each their own (although all I’ve known since my teens is recession in the hairline, so I’m a bit biased there) I also enjoyed reading the thread from 2007 as well. Another impressive result Dr. Umar. 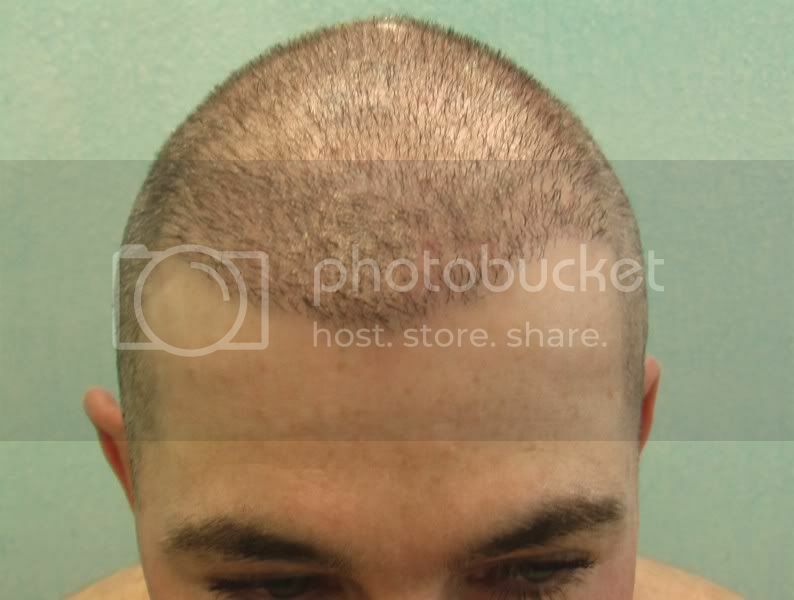 Commanderfink, as I’m sure you realize, a lot of grafts go into hairline construction alone. On top of this, covering a massive NW 6 area as well as two massive strip scars with mostly leg hair is no small task. 13,000 body hairs is more like 6000 head hairs. Not that much. 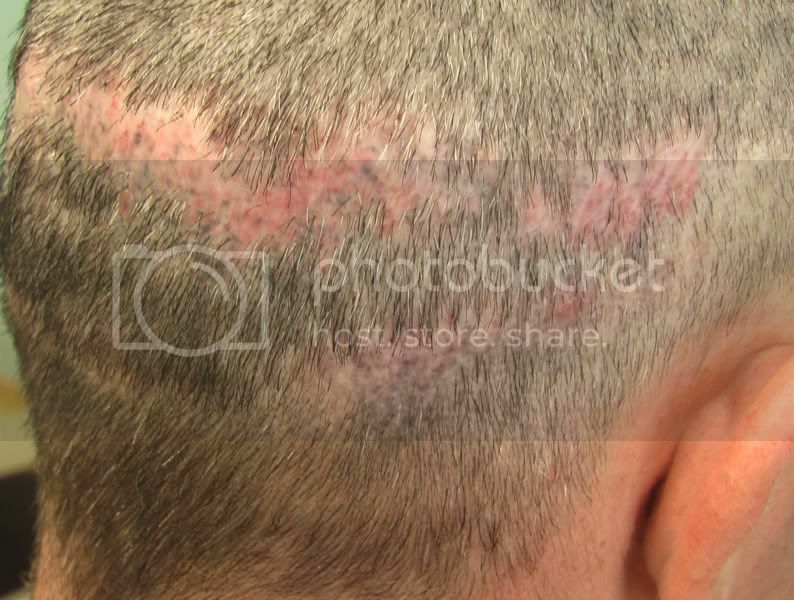 The guys crown, hairline, frontal scalp, mid scalp and two massive scars were covered with the equivalent of 6000 grafts. This result is impressive no matter how you look at it. Before you go any further mate. I think it wise that you reveal in your signature that you work for Dr. Umar. Nothing personal on my part, but I believe it’s one of the rules on these forums that you do so. » believe it’s one of the rules on these forums that you do so. If I worked for Dr Umar, “mate”, I would reveal it. I paid for BOTH of my surgeries IN FULL, receiving only the discount applicable to people who show their full face results! He asked me to be a showcase patient for him, in the event that people want to meet up with me and ask questions, and I said it would be an honour. Up until now, I thought I had that written in my sig, but I was obviously mistaken. It might be “wise” to reveal who YOU work for, while we’re at it. You clearly only signed up with Hairsite to post your one mistaken comment aimed squarely at myself! “Nothing personal” on your part, naturally. Please refrain from making these unsubstantiated allegations in the forum. When making allegations of this nature, please back it up with proof. You agreed to the forum policy when signing up for the forum. Please comply with the forum posting etiquette. I don’t have an axe to grind and I could care less if you find me credible. I’m just stating my opinion…and, by the way, I’ve always posted positive feedback about Dr. Umar’s work, but this time it isn’t up to par IMO. » Another “unbiased” opinion from the guy who wanted a free HT from Dr. U. » in exchange for some web design. » Will mouse and click for hair! » Did any HT docs take you up on that generous offer? I never asked for a free HT in exchange for web design…and yes, I have made an agreement with a another doc. Ironic you use the term “unbiased” since you are completely biased. I am somewhat biased based on my personal experience with the clinic and great result. Seems to me, you do have a little ax grinding here though. This isn’t a run of the mill, virgin headed HT case. This is a repair case using mostly BHT. And, it’s over two years later. How many of these long term BHT followups have been posted by other clinics these days? There is a lot of body hair growing in between those larger grafts softening the overall look of the whole HT. IMO, this makes the work seem more subtle. 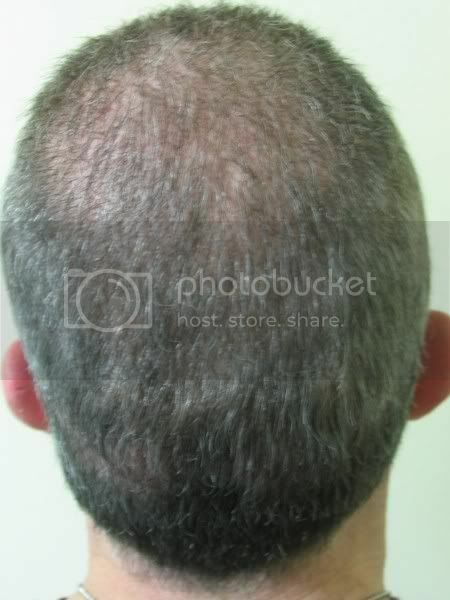 Plus there is the growth in the large strip scars, a reshaped hairline, lowered temples and a widows peak that is obviously new growth. 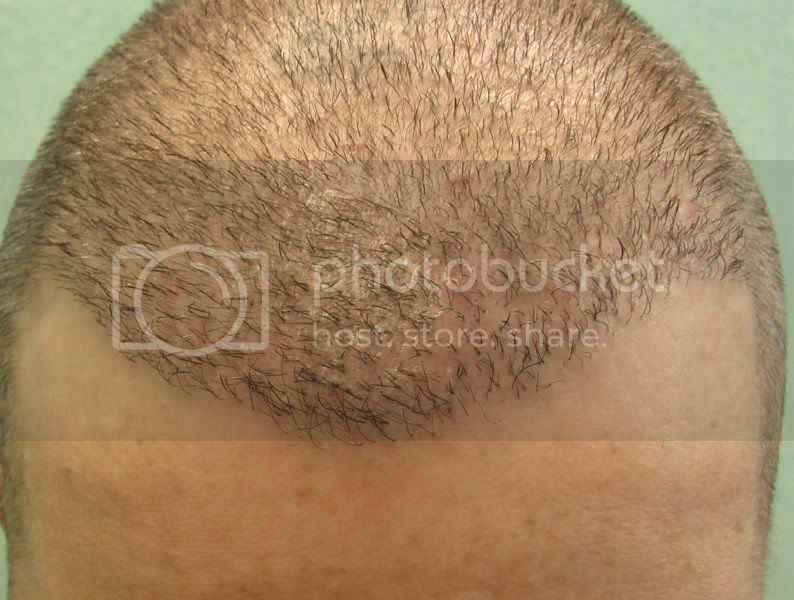 Considering body hair is not equal to head-hair regarding coverage, IMO, the growth is excellent. 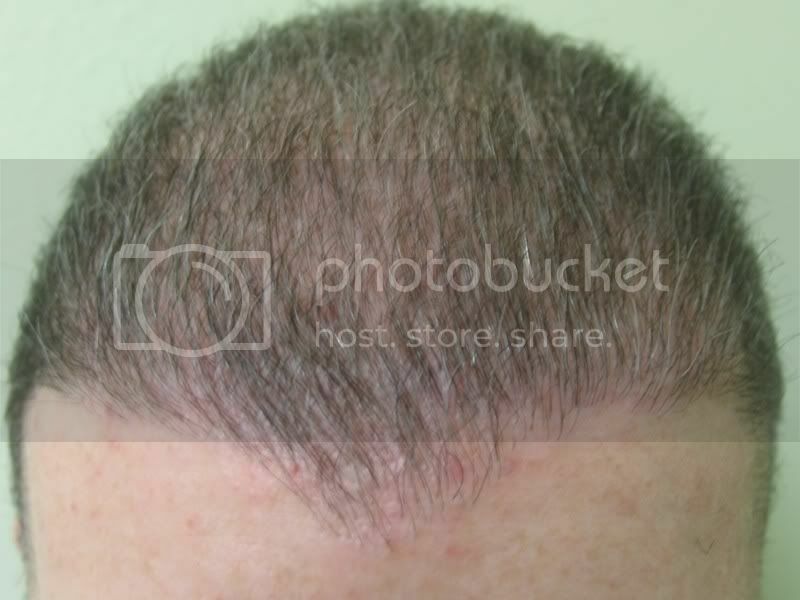 The result is soft and natural looking, not harsh with a straight hairline. Before, I’d spot it as an HT quickly. Not so anymore. Goal achieved, IMO. Anyway, which HT clinic are you doing web design for Trans? How many grafts do you plan on getting? » He plans to keep his hair short. » The following photo sequence is self explanatory. » There is a video in preparation.